Nowruz is the Persian, or Iranian, spring celebration of the New Year. It’s the most important festival of the year in Iran, and it’s a public holiday there and in Kazakhstan, Azerbaijan, Afghanistan, Albania and other countries in South and Central Asia. It’s a happy occasion, and there may be as many as 13 days’ holidays from school! Nowruz marks the first day of spring and begins at the exact day, hour and minute of the spring equinox when night and day are of equal length. This is usually on 21 March. It’s the day when winter changes into spring, and it feels like a new beginning. People prepare for Nowruz by cleaning the whole house, and everyone in the family helps out. Carpets, windows, and curtains are cleaned. Anything broken is repaired or replaced. Silverware is polished. The house is decorated with flowers. By doing this spring cleaning, people wash away the bad things from the previous year and prepare for better things to come in the new year. They also put on brand new clothes to symbolize a fresh start. In the evening of the last Wednesday before Nowruz, bonfires are lit and people jump over the flames. The flames burn away sickness and bad luck. It’s important to start the year well: clean, smart, relaxed, happy and surrounded by loved ones. So, just before Nowruz, the whole family comes together. They celebrate around a special table in their house. It’s called the haftseen, which means ‘seven Ss’. On it, there are seven special objects, all of which begin with the ‘s’ sound in the Farsi language and which symbolize something. There are actually more than seven, but here are some of the most common. 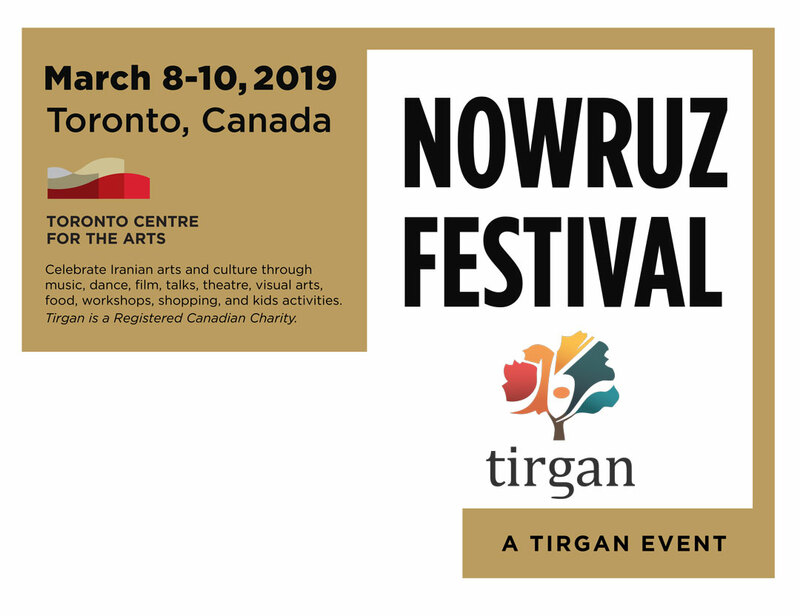 Nowruz is the Persian name of the Iranian new year or Persian new year consisting of two words; Now or no meaning new and ruz or rooz meaning day, which when put together means new day . This celebration and its associated events have been celebrated for thousands of years by the people of Iran and the people of Central Asian countries, former parts of ancient Persian empires. Nowruz emerged as people of these areas of the world left the nomadic life and established settlements which started a new phase in human civilization. Today, it is the world’s only event which is celebrated at the exact same moment throughout the world. The celebration is not connected to religion and is based on astronomical celestial events even though Nowruz is deeply rooted in Zoroastrianism, the ancient Persian religion. In 1725 BC, the world’s first philosopher and prophet of the Zoroastrian religion named Zarathushtra, improved the ancient Indo-Iranian calendar. The Zoroastrian year starts with this date. Zarathushtra established an observatory in the modern day province of Sistan in southeastern Iran and with his knowledge in astronomy he was able to establish a solar calendar consisting of 365 days, 5 hours and 48 minutes. During the 6th century BC, the magush who were the priests of the Zoroastrian fire temples, acted both as fire keepers and astronomers. These priests calculated the spring equinox of the northern hemisphere to occur on March 20 or 21 and this date marked the first day of the Persian solar calendar. The priests were closely associated with the events at the city of Parsa, also known as Persepolis. This city, founded by the Persian king Darius the Great in 515 BC, was the ceremonial capital city of the Achaemenid Persian empire and the spring residence of the kings. The kings invited noblemen from all of the provinces of the empire to Persepolis, regardless of ethnicity and religious beliefs, to celebrate Nowruz. During the morning hours, priests prayed and performed rituals which were followed by feasts and entertainments in the evenings and nights. Even to this day, one can see the ruins of the royal palaces with reliefs depicting governors and ambassadors bringing precious gifts to the King of Kings and paying homage to him. During the reign of the Sassanid kings between 224 – 651 AD, preparations began 25 days before Nowruz. Craftsmen and builders of the royal court constructed twelve mud-brick columns and various seeds were sown on top of each column. Each column was symbolic and represented a month. By the time it was Nowruz, the seeds had grown into majestic decorative plants. The king held a public speech in front of a noble audience followed by greetings from the highest priest of the empire. Government officials also greeted the king. Every invited person gave a gift to the king until the sixth day of Nowruz, when members of the royal family visited the royal court. During Nowruz, an official amnesty was put in order for convicts of minor crimes. People throughout the empire celebrated this event for thirteen days. Even though Nowruz is a celebration of a celestial event, it is deeply rooted in the mythology of the Persians. Nowruz focuses on the philosophical aspects of light conquering darkness, good conquering evil, the warmth of spring conquering the cold winter. According to ancient mythical stories written in the Persian epic Shahnameh, Nowruz was introduced during the reign of the mythical king named Jamshid. Jamshid defeated the evil demons and made them his servants as he captured their treasures and jewels. He then became the ruler of everything on earth except the heavens, while the world was devastated after the war between him and the demons. The trees were dead and had lost all their leaves. Earth had turned into a dark and lifeless place. For reaching the heavens, Jamshid ordered the demons to build him a throne made out of the jewels he had captured. When the throne was finished, he sat on it and commanded the demons to lift him high up into the sky. As he was sitting on his throne, sun rays hit the jewels of his throne and the sky was illuminated with all the world’s colors. The rays beaming from Jamshid revived all trees and plants and turned them green and full of leaves. Life on earth began to thrive as Jamshid rose like the sun. People were amazed by the sight of Jamshid and overwhelmed him with even more treasures and jewels. This day of celebration was named Nowruz and it marked the first day of the year. Jamshid later rescued his people from a harsh winter that would have killed all creatures on earth. Mythological survival stories with Jamshid as the main character is considered to be mythical symbols regarding the historical events of when Indo-Iranian Aryans abandoned their neolithic lifestyles as hunter-gatherers and became settlers on the Iranian mainland. Settlements were profoundly dependent on their crops and in turn dependent on the outcome of the seasons. The spring equinox, therefore, marked an important event in the lives of ancient Iranians. Nowruz is a rite dating back to at least the 6th century BCE, marking the new year and ushering in spring. Variously known as Novruz, Nowrouz, Nooruz, Navruz, Nauroz or Nevruz, this historic rite is observed on 21 March in many countries along the Silk Roads, including Afghanistan, Azerbaijan, India, Iran, Iraq, Kyrgyzstan, Kazakhstan, Pakistan, Tajikistan, Turkey, Turkmenistan, and Uzbekistan. International Nowruz day is celebrated by peoples of many different religions and cultures represented in the united nations general assembly. Some of the festival’s earliest origins lie in Zoroastrianism, marking one of the holiest days in the ancient Zoroastrian calendar. The return of the spring was seen to have great spiritual significance, symbolizing the triumph of good over evil and joy over sorrow. In particular, the Spirit of Noon, known as Rapithwina, who was considered to be driven underground by the Spirit of Winter during the cold months, was welcomed back with celebrations at noon on the day of Nowruz according to Zoroastrian tradition. Nowruz is also associated with a great variety of local traditions, including the legend of Jamshid, a king in Persian mythology. To this day in Iran, Nowruz celebrations are sometimes known as Nowruze Jamshidi. According to the myth, Jamshid was carried through the air in a chariot, a feat that so amazed his subjects that they established a festival on that day. Similar mythological narratives exist in Indian and Turkish traditions, while the legend of Amoo Nowrouz is popular in the countries of Central Asia. Over the last millennium, Nowruz has developed and expanded, incorporating new social, religious and cultural influences as it spread along the Silk Roads. Its date, originally calculated according to ancient astronomical practices, was revised and recalculated on numerous occasions in the 11th and 12th centuries as Nowruz continued to be a celebration of great social significance under various rulers and regimes. Renowned Muslim scholars, such as Abu Rayhan al-Bīrūnī (973-1048), Mahmud Kashgari (1005-1102), and Omar Khayyam (1048-1131) are among the many intellectuals who studied the date of Nowruz. Although The traditions and customs that accompany the celebration of Nowruz vary from country to country, there are many unifying features. In most regions, symbolic preparations fire and water take place before the festival, and ritual dances involving leaping over fires and streams are performed. In Iran, these dances take place on the last Wednesday before Nowruz, known as Chārshanbeh Sūrī or Chārshanbeh-e Ātash, while in Azerbaijan, this practice is carried out over the four Wednesdays preceding the celebrations. In many places, households fill up their supplies of water on the last Wednesday of the year, and in Kyrgyzstan, all vessels in the house are to be filled on Nowruz Eve, in the hope that this will bring abundance in the new year and keep away misfortune. It is also customary across most regions to visit cemeteries before the Nowruz celebrations begin, with visitors bringing candles and offerings to remember the dead. Two candles are commonly placed at the door to the house on Nowruz Eve in Kazakhstan. In Azerbaijan, the dead are commemorated on the second day of Nowruz, known as the “Day of Fathers”. On the day of Nowruz, there is much feasting, visiting family members and friends, and exchanging gifts. A wide range of cultural performances and traditions also take place. Children are often given small toys, and traditionally play with colourfully painted eggs. Families and within communities share a symbolic meal, often consisting of cooked rice and vegetables combined with many local ingredients. In Kyrgyzstan, this meal is a public ceremony, with designated areas set aside in towns for the preparation of Nooruz Kedje or Chon Kedje , a type of soup made from bull’s meat. One widespread tradition which dates back to 3,000 years ago is the preparation of a Nowruz table “haft sin table”, on which a number of symbolic objects are placed. While these tables differ slightly from region to region, the most common features are: water, candles, dishes of green sprouts (or Sabzeh), a traditional dish made out of crushed wheat sprouts, mirrors, eggs, and various fruits. These objects symbolise purity, brightness, abundance, happiness and fertility for the new year. In Iran, the table is referred to as the “Sofreh-ye Haft Sin”, and displays seven objects, each starting with the letter ‘S’. A similar table is set in areas of India.